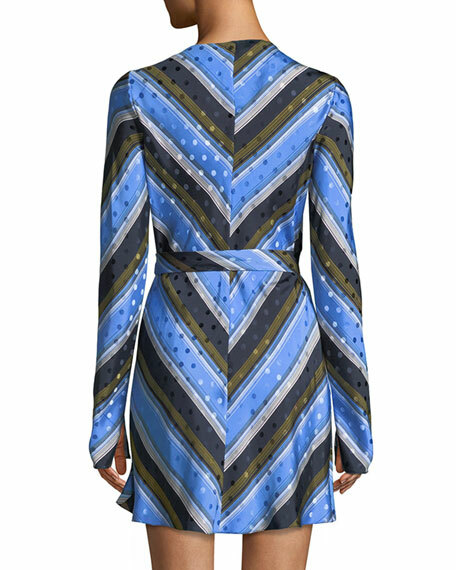 Diane von Furstenberg mini dress in dot silk jacquard. For in-store inquiries, use sku #2537484. 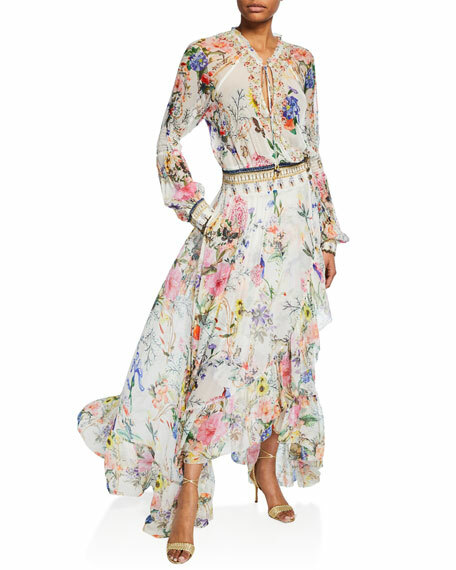 Camilla dress in Boheme floral-print with crystal embellishments. 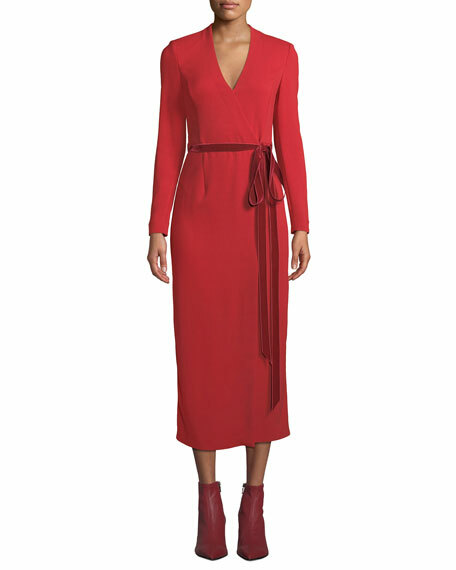 V neckline; self-tie front. Long blouson sleeves. Button wrap closure at waist. A-line silhouette. Side slip pockets. Flounce hem. Maxi length. Silk main & lining. Imported. 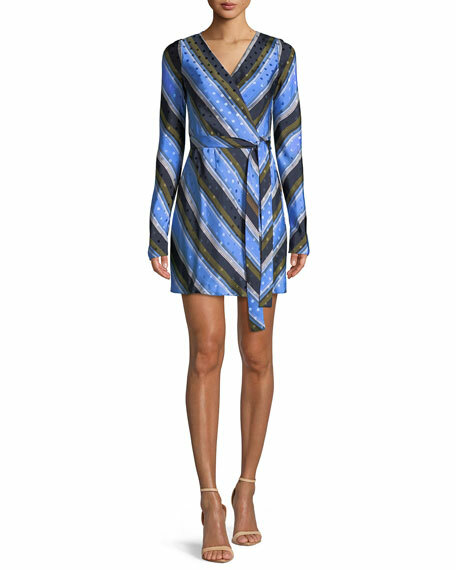 Diane von Furstenberg "Augusta" silk cocktail dress. Approx. length: 30"L from shoulder to hem. Collared V neckline. Sleeveless. Self-tie wrap closure. Slash hip pockets. A-line silhouette. Side slip pockets. Back storm flap detail. Midi length. Imported.